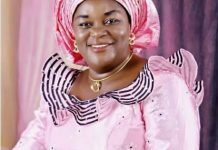 Latest information from our Abuja source indicates that, uptill the time of filing this report, Senator Hope Uzodimma’s name and that of Prince Eze Madumere were still with the Independent National Electoral Commission (INEC) as Imo State governorship and Deputy governorship candidates of All Progressives Congress (APC), respectively. When asked, if that does not run foul of the court injunction got by Uche Nwosu, restraining the APC, INEC or any authority from replacing his name with that of any person, the source answered in the negative. 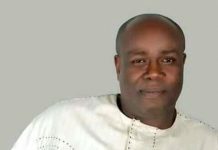 According to him, “Senator Hope Uzodimma was first granted an interlocatory injunction, by a court of competent jurisdiction on the 5th of October, 2018, restraining the APC and INEC from substituting his name with any other name, while Uche Nwosu got his on the 9th of October. Besides, there were discrepancies in Uche Nwosu’s order, because it was not meant for APC. The name on the order he got was All Progressive Peoples Congress (APPC) and not APC. 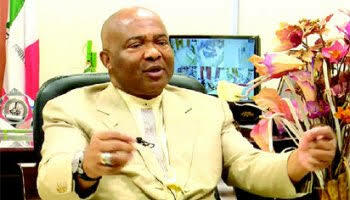 Moreover, Senator Uzodimma’s prayer was that his name should not be substituted by the APC or INEC with any other name. It is also on record that Uche Nwosu and his group did not appeal the outcome of the first primary election, hence they legally lack the capacity to question the process that produced Senator Hope Uzodimma as the APC governorship candidate for the 2019 election”. 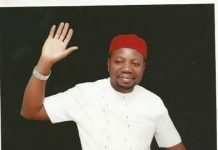 The source, further stated that governor Okorocha and Uche Nwosu’s plight was worsened by the petition written against presiding judge by the latter’s cousin, one Bisike Chinaka,on the ground of bias and compromise in favour of Senator Uzodimma. This led to the indefinite adjournment, of the case, pending when it will be reassigned to another Judge. But so far, a new date has not be chosen. It was also gathered that the immediate past Chief of Staff, Imo State government house, Owerri Mr Uche Nwosu and his supporters, have now resorted to prayers, as all efforts to reach and compromise the APC National chairman, Chief Adams Oshimhole have proved abortive. 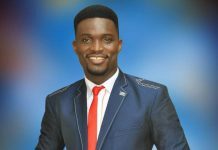 A pastor in the government house chapel, Owerri, who confided in this reporter, said, “God will definitely make a way where man fails to do the right thing. The Chief of Staff has approached us to pray fervently and we assured him that, nothing will change or alter his mandate”. According to another government house source, “from the look of things, there is presently enormous tension in Imo State government house, as anything short of giving Uche Nwosu the APC governorship ticket will lead to the total collapse of Agburu camp. 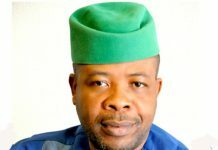 Hence most of their supporters are already joining other political parties, while governor Okorocha has virtually abandoned his duties at Douglas house and temporarily stays in Abuja from where he is pressing all buttons to achieve his parochial and jaundiced ambition but comes back once in a while”.